Mating isn't in their plans, but plans can shift as fast as the panther princes of Adikar. Dr. Amy Sullivan is prepared for anything when she arrives in the kingdom of Adikar... except for the two panther princes who rule their desert territories. They're the sexiest men -- human or shifter -- Amy has ever met. Together, they tempt her into a world of sinful pleasures, sultry desert nights and secret seductions. If she's not careful, she'll be added to the harem of two shifters she simply can't resist. Shon and Tahvo share everything, including women, but they've never met a female so unimpressed by their vast wealth and position in the Adikar prides. They're intrigued by the voluptuous and defiant human, and they'll stop at nothing to taste her sweet curves. When the future of the kingdom hangs in the balance, they're compelled to choose between a life of hedonistic pleasure with Amy and one in service to their subjects. Isabella Werner – Wolf shifter. Princess. Vegetarian…Prisoner. She’s fighting for her life and her freedom. Caleb Alexander – Bear shifter. Running from a haunted past…Undercover guard. His job is simple. Get the information so they can take down the assholes testing on shifters. There’s only one problem. His mate is one of the prisoners, and his bear is about to lose control…again. Even broken Lycans deserve happily ever after. Dakota Stone knew his PTSD and irreparably damaged body made him unworthy and condemned him to a mateless future. Resigned to his fate, Koda abandoned his pack choosing isolation over pity. Though not content, he’d mostly adapted to his new life. Then, Ella Quinn invaded Sanctuary turning his world upside down. 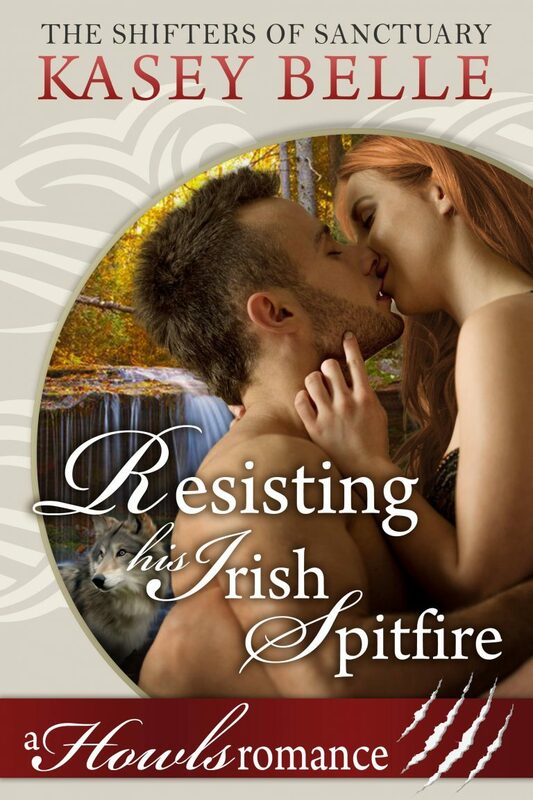 The Irish spitfire was everything Koda wanted, but couldn’t have. He had to get rid of her. Veterinarian Ella Quinn devoted her career to rehabilitating the injured, aggressive, and displaced. She never imagined her life’s calling would apply to the man who despised her on sight. Dakoda Stone’s wounded soul called to her. Despite his antagonistic attitude, she found herself falling for him. Ella had to decide if fighting for Koda was worth the heartache she’d suffer if she lost the battle. Wolf was fed up with Koda’s obstinance and decided it was time the beast became the master. When the opportunity arose, Wolf seized it, determined to make Ella theirs. Unfortunately, the outcome he envisioned didn’t happen. Now, they may have lost her forever unless they found a way to gain Ella’s forgiveness. Or was it too little, too late?